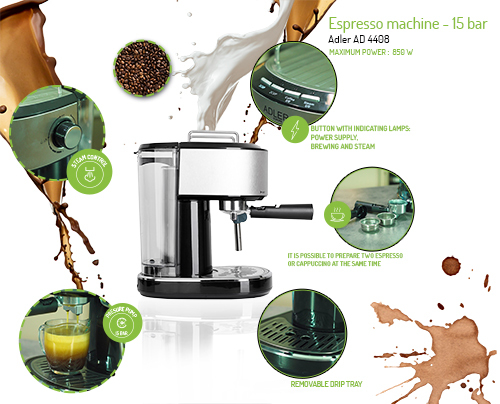 The AD 4408 Espresso Machine was designed for demanding coffee lovers for whom the delicious scent of the coffee makes the day. 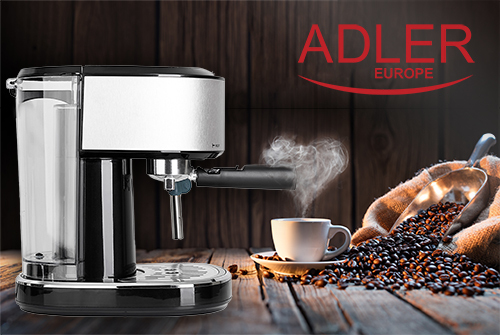 It proves to be a great device that can be used both at home and in the workplace – in all the places where you enjoy the freshly made aromatic coffee. 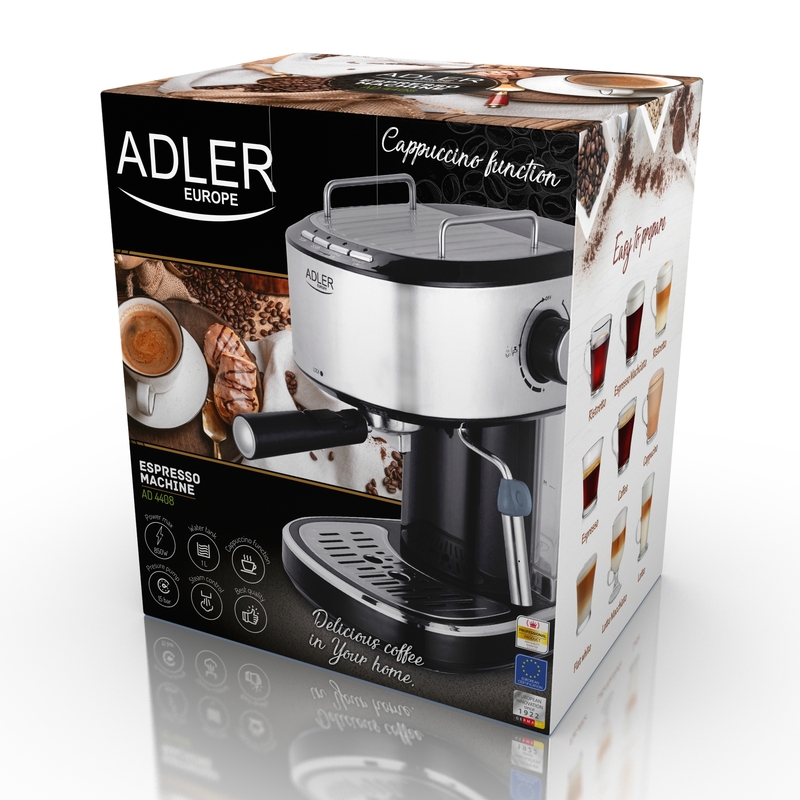 High efficiency of the device (it is rated at 850W, it has high performance 15 bar pressure pomp, it produces steam within seconds) will satisfy even the most demanding users who do not wish to wait long for their favourite beverage. 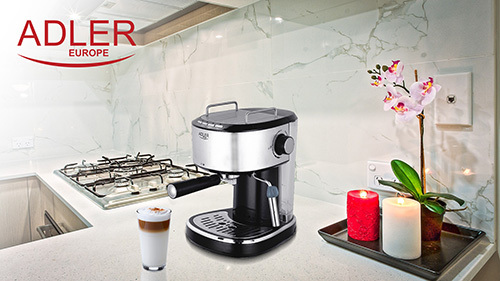 Thanks to the built-in milk foaming device you can easily prepare a cappuccino. 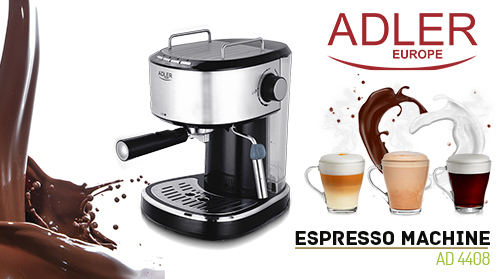 Now you can just sit back, relax and enjoy a delightful cup of your favourite coffee. The product has a decorative sticker on the front. Removal of the sticker will not affect the product or break the warranty conditions. 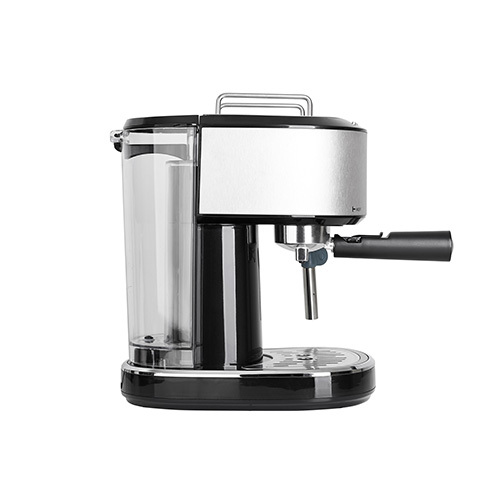 The coffee machine is equipped with a powerful high performance 15 bar pressure pump. Adding the power of 850 W and boiling water and steam production, which lasts only a few seconds, you can safely say that it is a high-performance device that will satisfy everyone. 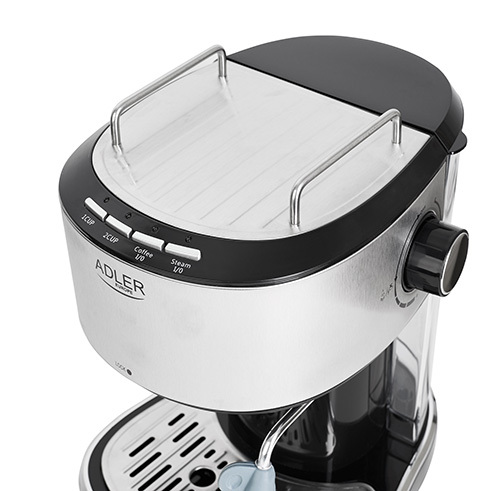 The elegant housing has a removable water tank with a capacity of 1 litres so you can prepare a few cups of aromatic coffee without the need for constant topping up of water. The maximum boiler capacity is 150 ml. On the external panel, there are buttons with control lamps that allow you to quickly turn on the machine, initiate brewing or steam generation. The removable drip tray makes it easier to clean the device. 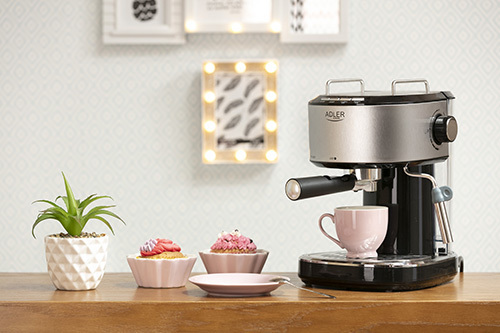 Modern design and bold colours will make the coffee maker look good in the home kitchen, kitchen outside or even in the office. 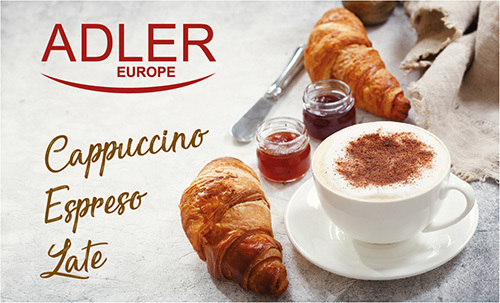 Do you love aromatic latte or delicate and full of foam cappuccino and the other family members prefer to start the day with a strong espresso? You do not have enough time to celebrate each of these coffees in the morning? 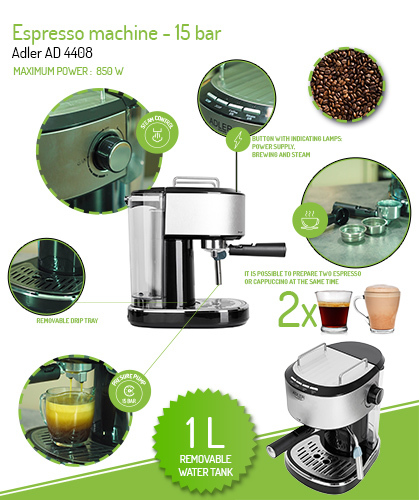 You no longer have to worry about the multi-stage preparation of your favourite drink! In a few simple steps, you will prepare a cup of aromatic black coffee, which will be the basis for the other variants of this drink. All thanks to the milk frothing nozzle! 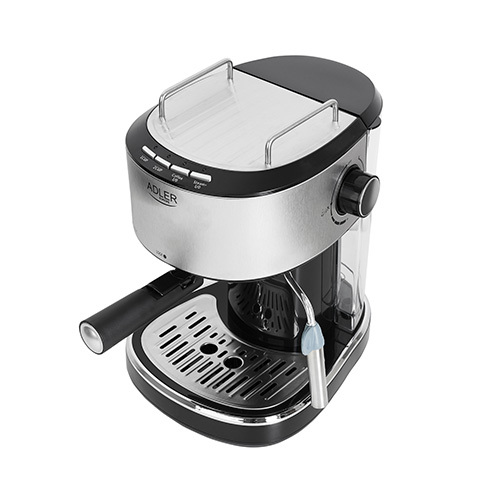 The steam control knob will allow you to froth and heat the milk, which you just need to add to the espresso. 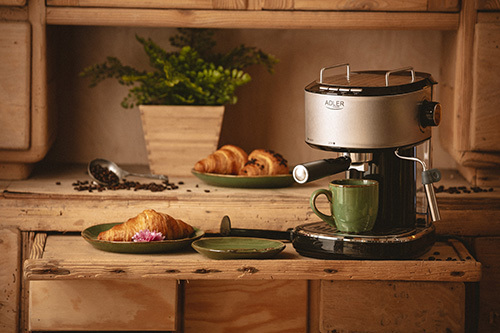 This will be especially useful in the office, where your clients will be able to enjoy delicious coffee during difficult business negotiations. In a few moments, you will prepare a coffee similar to that from a professional cafe! In the set, you will also find a spoon to measure the amount of coffee. In other words, apart from the cup and the coffee itself, you do not need anything more!